So what’s all the rave behind “liquid THC”? After all, vaporizing flavored liquid nicotine—known to most as “vaping”—has caught on in a big way in recent years, there’s no doubt about it. But what you may not know is that it’s also paved the way for cannabis-lovers to take their consumption to new heights. 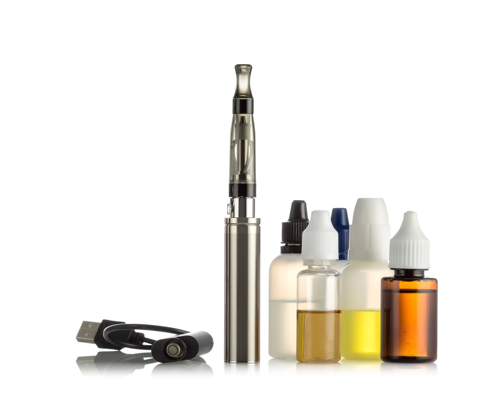 Though precursors to modern day e-cigarettes have existed since the 1960s, vaping as we know it grew to prominence around 2010, after the “cartomizer” was invented in 2006. Today, this futuristic method of nicotine intake has become popular enough to justify thousands of businesses dedicated solely to a growing number of e-cigarette devotees. But what about the marijuana-mans and cannabis fans? Have we been left in the dust? Absolutely not. As most medical marijuana patients know, vaporizers are a popular method of cannabis consumption. But traditionally, cannabis vaporizers differ in appearance from the long and slender e-cigarette design. For example, one of the most popular vaporizers is the Magic Flight Launch Box. It sports an unconventional wooden design aimed at providing a portable and discreet way to vaporize marijuana. 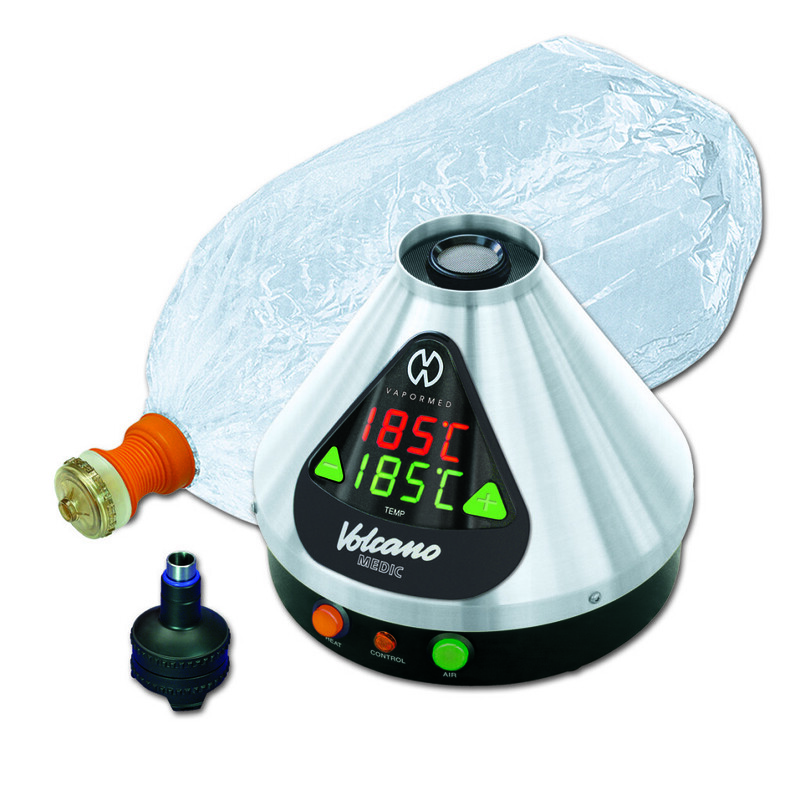 On the other end of the vaporizer spectrum is the Volcano Vaporizer, which is as large and costly as a kitchen appliance, but unparalleled in heat control and efficiency. It wasn’t until recently, however, that a middle ground between e-cigarettes and cannabis vaporizers was achieved, dawning a new age of cannabis e-liquids. Somewhat similar to how Kleenex has become synonymous with tissue, or Coca-Cola with soda, the Grenco Science G Pen set the standard for vaporizer pens. Similar in design to sleeker and thinner e-cigarettes, the G Pen—no longer the industry standard, but now merely one amongst many capable vape pen products—was initially created to be used solely with marijuana concentrates. In fact, the official Snoop Dogg model G Pen is designed to be used for vaporizing ground herb. 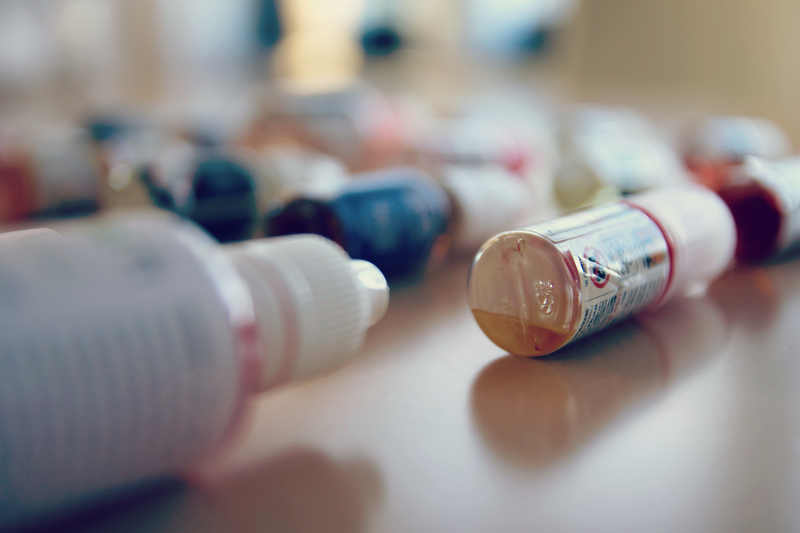 Liquid THC, a.k.a cannabis e-liquid. It’s designed to mimic the liquid nicotine used in e-cigarettes, except for consumption by cannabis users. Though a relatively new way to consume cannabis, it’s already been quick to fire up support in the public sphere: in 2014, comedian Sarah Silverman was spotted carrying a vape pen filled with liquid THC on the Emmy’s red carpet. Liquid THC is generally sold in either pre-filled vape cartridges designed to screw onto a variety of vaporizer pens, or in more cost effective dropper bottles, allowing users to refill vape pen cartridges themselves. In either case, many of the benefits sought by e-cigarette users—namely portability, less harsh smoke, and discreteness—are also at play. What makes liquid THC different from other concentrates is, as its name would suggest, its high THC content. Traditional concentrates, like butane oil or shatter, generally contain somewhere in the range of 50-70% THC. Liquid THC, on the other hand, has tested up to 90% in THC content. For those who prefer the effects of THC over the other active ingredients in marijuana—amongst which are cannabidiol (CBD), cannabinol, cannabaverin, cannabigerol, and other compounds—liquid THC is quite possibly the purest and most efficient form of THC intake. These additional compounds offer their own physiological or pharmaceutical benefits, and though THC still acts as the primary active ingredient in most strains of medical marijuana, some may prefer the amounts of these additional compounds found in standard bud. However, for users who have determined the effects of THC to be most to their benefit, consuming its liquid form is a great way to experience its isolated effects. Most savvy smokers are familiar with THC (which is short for delta-9-tetrahydrocannabinol, in case anyone was wondering) as the primary psychoactive ingredient in marijuana. THC gets users “high” by binding to protein receptors in the brain. As long as the chemical remains active, the classic symptoms of a cannabis high are experienced by its users, amongst which are distortion of time, euphoria, and greater receptiveness to stimuli like food and laughter. Furthermore, THC is thought to be the compound that helps most with sleep. CBD on the other hand, while generally contributing more of the medicinal effects associated with cannabis, can otherwise promote wakefulness. Cannabis users prone to anxiety should take caution when considering liquid THC. While CBD is thought to calm users and reduce anxiety, THC can sometimes worsen anxiety or paranoia. For anyone who has experienced debilitating anxiety or paranoia as a side-effect of consuming marijuana, liquid THC is best taken cautiously, or avoided outright. Anyone who would rather bypass unregulated products altogether, or otherwise has DIY inclinations, making liquid THC at home is possible with a few, mostly standard household items and ingredients. Start by decarboxylating the marijuana. This essentially “activates” it, which normally occurs via combustion or vaporization. This can be done by baking ground or broken up cannabis on a foil-lined baking sheet in an oven heated to 240 °F for 30 to 40 minutes, stirring it periodically so it heats evenly. The cannabis can then be ground in a food processor for more efficient extraction. By the end, it should be brown in color. Add the bud to one of the mason jars, and fill it with the high proof grain alcohol until the liquid is a little more than covering the plant material. Make sure the opening of the jar remains uncovered. Fill the kitchen pot with a few inches of water and add the jar from the previous step. Bring the water to a boil on the stove, reducing the temperature once it’s boiling. This evaporates some of the alcohol, and makes sure that THC is absorbed into the alcohol remaining in the jar. Once the alcohol has turned a darker color, and is just barely covering the cannabis, remove the jar from the stove, and add more alcohol, returning it to its original level or a little higher. Filter the bud out the alcohol, now containing the extracted THC. This can be done by placing the cheese cloth over the second mason jar, and pouring the contents of the full jar into it, so the bud is caught on the cheese cloth. Then squeeze the bud to make sure the maximum amount of liquid is filtered. Repeat Step 3 with the jar now containing just the liquid. However, make sure to use water that isn’t already boiling so as not to crack the glass from a difference in temperature. Evaporate enough of the liquid so that just 5ml is remaining. You can use the dropper to determine the volume left in the jar. Use the dropper to add 20ml of propylene glycol to the jar and shake or stir the mixture to add some extra potency. Your liquid THC is now usable! TIP: Make sure your kitchen is ventilated, and as with any process involving open flames and alcohol, be sure to exercise caution. Before buying liquid THC, it’s worth noting that currently there are no regulations on its production. This means that hypothetically, other compounds could be added to liquid THC products by disreputable vendors looking to turn a greater profit. So, before buying a liquid THC product, it would be prudent to find feedback from other users who can vouch for the brand’s credibility. Another option is to turn to a trusted brand like Nugg for your cannabis-related purchase decisions. We curate a list of the best cannabis providers across California, make their menus easily accessible online, and let medical marijuana patients like you place orders for delivery from any device. Our site offers easy-navigation as well, with a search function that allows you to see which marijuana dispensaries in your area carry the products you’re looking for. You can even compare prices for all products found in your area. Like any medical marijuana product, liquid THC isn’t without a few risks of which any user should be aware. However, if the effects of THC are to your liking and you have either determined a brand to be reputable, or opted instead to make it yourself, liquid THC is a modern and specialized way to add variety to cannabis consumption. Hi, this is a great post, loaded with lots of great knowledge, thank You!